As we get closer to the release of the new Dark Souls III, more and more information is being released by the publishers of this incredible series, FromSoftware. Dark Souls began development under the title 'Project Dark', and was released in the year 2011. Years later, Dark Souls II was released in March of 2014, and now we await the release of Dark Souls III, which will be available April 12, 2016. For those who don't know what Dark Souls is about, it is a third-person action role-playing game with a focus on exploration. Players are able to explore every inch of the game, but be warned, stray from the right path and you may find yourself in over your head. Back in early November we learned that we were getting multiple editions for the upcoming Dark Souls III. These editions include the Collectors Edition and Prestige Edition, and more information about what these include can be found in my previous article here. 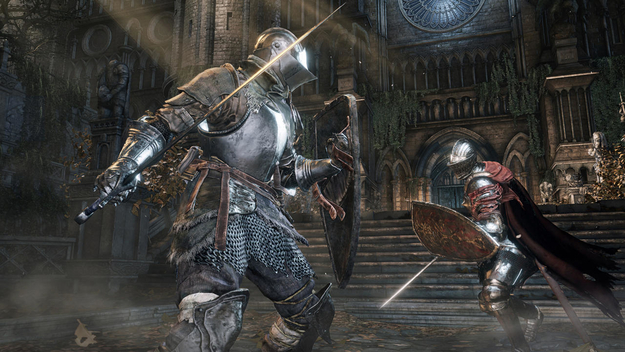 Dark Souls III will be available to purchase on PC, PlayStation 4, and Xbox One. This will be the first time that the PC version will be released on the same day as the console version, and here's hoping it all runs smoothly on the eventual release day. What do you think about Dark Souls III so far? Do you have the PC specs fit to run the game? Let us know in the comments below! The Irish Assassin, THE HAREM KING, Kayla Fox and 2 others like this.